Kamdhenu Expeller Industries (KEI) offers a wide range of Karanj / Pongamia Decorticators having efficient and excellent Commercial Viability, both for Indian and International markets. The Karanj / Pongamia Decorticators are simple in design and serve the varying needs of the end users without much complexity. Since, the last two decades “KEI” has been successful in catering to the varied demands of all its esteem customers around the globe, in a very professional and skillful manner. The Kamdhenu Karanj / Pongamia Decorticators are efficient in shelling out the Karanj / Pongamia seeds from the husk (outer layer) and come in four categories as listed in the below table. We also have Decorticators for other seeds such as Groundnut / Peanut Seed, Castor / Rendee, Neem Seed or Azadirachta Indica, Cotton Seed, Safflower or Kardi Seed, Sunflower or Surajmukhi Seed, Jatropha Seed or Physic nut or Nettlespurge, Charoli / Chironji or Buchanania lanzan, Harade (Hirda) or Chebulic Myrobalan, Bihada. 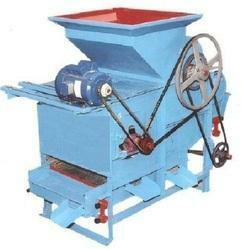 The Karanj or Pongamia Decorticator Without Grader Model can be used in any country. For more details, please drop in an inquiry, with your full name, complete address and contact information. The Kamdhenu Karanj or Pongamia Decorticator with Grader and with Elevator models are simple in design and serve the varying needs of the end users without much complexity. Since, the last two decades “KEI” has been successful in catering to the varied demands of all its esteem customers around the globe, in a very professional and skillful manner. The Kamdhenu Karanj or Pongamia Decorticator with Grader and with Elevator models are efficient in shelling out the Karanj or Pongamia seeds from the husk (outer hard layer) and come in the following models as listed in the below table. We also have Decorticators for other seeds such as Groundnut / Peanut Seed, Castor / Rendee Seed, Neem Seed or Azadirachta Indica, Cotton Seed, Safflower or Kardi Seed, Sunflower or Surajmukhi Seed, Jatropha Seed or Physic nut or Nettlespurge, Charoli / Chironji or Buchanania lanzan, Harade (Hirda) or Chebulic Myrobalan, Bihada. The Kamdhenu Karanj / Pongamia Decorticator with Grader and with Elevator models can be used in any country. For more details, please drop in a inquiry, with your full name, complete address and contact information. Kamdhenu Hand or Manually Operated Karanj or Pongamia Decorticator is useful for small farmers and low-end users. The approx. The capacity of Kamdhenu Hand or Manually Operated Karanj or Pongamia Decorticator is 35-45 Kgs. / Hr. depending on the operator's ability to operate the decorticator. The Kamdhenu Hand or Manually Operated Karanj or Pongamia Decorticator be used in any country. For more details, please drop in an inquiry, with your full name, complete address and contact information. 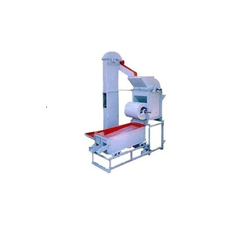 The Kamdhenu 3 HP Karanj or Pongamia Decorticators with Grader model is simple in design and serve the varying needs of the end users without much complexity. Since, the last two decades “KEI” has been successful in catering to the varied demands of all its esteem customers around the globe, in a very professional and skillful manner. 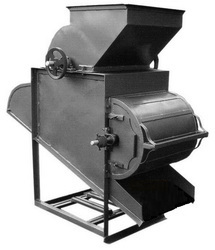 The Kamdhenu 3 HP Karanj or Pongamia Decorticators with Grader model has a 24" size and is efficient in shelling out the Karanj or Pongamia seeds from the husk (outer hard layer) and has an approx. The capacity of 400 – 450 Kg/hr and works on 3 HP 3 Phase Electric Motor. We also have Decorators for other seeds such as Groundnut or Peanut, Castor / Renee Seed, Neem Seed or Azadirachta Indica, Cotton Seed, Safflower or Kadri Seed, Sunflower or Surajmukhi Seed, Jatropha Seed or Physic nut or Nettlespurge, Charoli / Chironji or Buchanan Lanza, Harada (Hirda) or Chebulic Myrobalan, Bifida. The Kamdhenu 3 HP Karanj or Pongamia Decorticators with Grader modelcan be used in any country. For more details, please drop in a inquiry, with your full name, complete address and contact information. The Kamdhenu Karanj or Pongamia Decorticator With Grader Models (5-15 HP) are simple in design and serve the varying needs of the end users without much complexity. Since, the last two decades “KEI” has been successful in catering to the varied demands of all its esteem customers around the globe, in a very professional and skillful manner. The Kamdhenu Karanj or Pongamia Decorticator With Grader Models (5-15 HP) are efficient in shelling out the Karanj or Pongamia seeds from the husk (outer hard layer) and come in the following models as listed in the below table. The Kamdhenu Karanj / Pongamia Decorticator With Grader Models (5-15 HP) can be used in any country. For more details, please drop in a inquiry, with your full name, complete address and contact information.